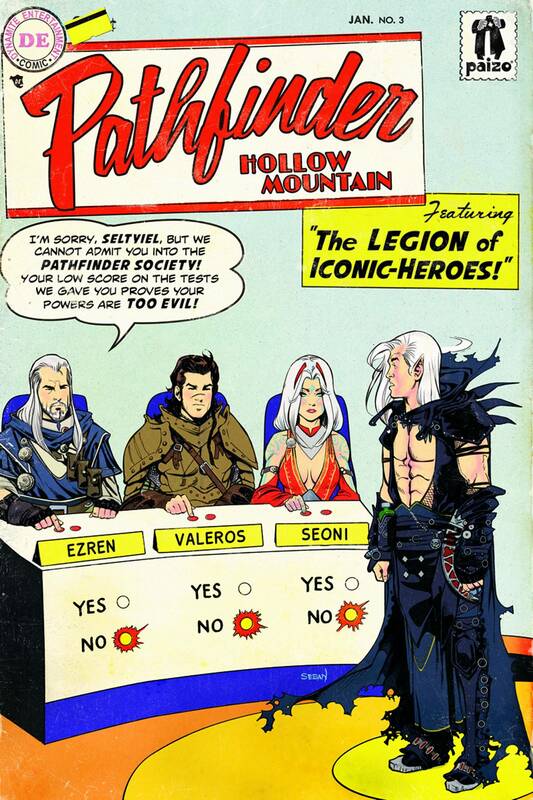 Valeros, Kyra, Merisiel, and a team of unlikely allies face off against the demonic Castellan of Hollow Mountain! With Ezren and Seoni seemingly killed, how will the remaining Pathfinders survive the deadly traps of the Runelords' most treacherous dungeon? Shadows, sinspawn, and more threaten our heroes in a tale written by Pathfinder publisher Erik Mona (Pathfinder Origins) and with art from rising star Tom Garcia (Mercy Thompson)! Contains pull-out poster map and official Pathfinder RPG bonus encounter!